As Marvel Studios enters Phase 3 of The Avengers shared cinematic universe, several long-in-development projects are finally seeing the light of day: Black Panther, Captain Marvel, and Doctor Strange will hit theaters in the next few years. In addition to a recently unveiled Ant-Man sequel (titled Ant-Man and The Wasp), Thor: Ragnarök, Captain America: Civil War, and the two-part Avengers: Infinity War storyline, Marvel had planned to bring their Inhumans property to theaters on July 12, 2019 – as a full entry in the next wave of films. Now, at New York Comic-Con, word is getting out that Marvel has cancelled Inhumans – due to ongoing strife between the company’s movie and TV branches. Bleeding Cool was the first to break the news but before anyone dismisses the report as fabricated hearsay, it’s worth noting that Screen Rant has heard similar rumblings. This isn’t to say that the Inhumans film is officially canceled or that the situation might not change in the coming days but, according to sources, the Marvel movie department could remove Inhumans from their slate. Longtime Marvel fans will recall that in spite of the interplay between Marvel films (most recently Ant-Man and The Avengers: Age of Ultron) and TV shows (Agents of S.H.I.E.L.D. and Agent Carter), the comics, film, and TV devisions contributing to Marvel’s shared universe do not always play nice. Previously, Marvel CEO Isaac Perlmutter oversaw all three divisions but, recently, Disney restructured the company – asking movie head Kevin Feige to report directly to the Mouse House (essentially side-stepping Perlmutter). Conversely, Marvel TV head Jeph Loeb still reports to Perlmutter. 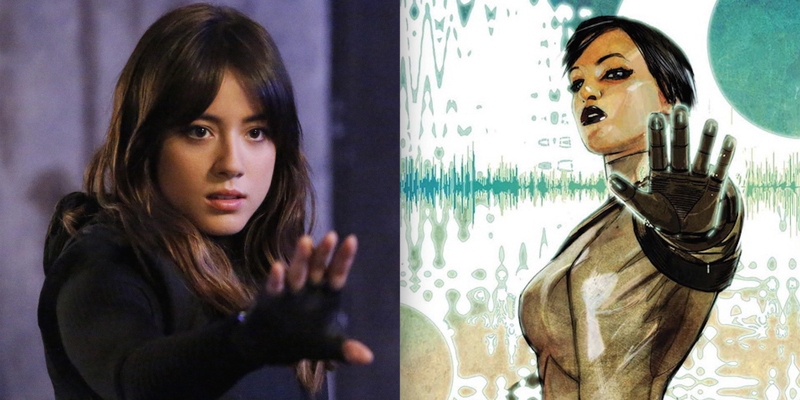 Over the last two years, Marvel TV has taken cues from the larger movie universe, settling for minor cameos from supporting Avengers characters (Maria Hill, Lady Sif, etc) – while, at the same time, helping to set the stage for major events in the larger film story. No doubt, the relationship has been mutually beneficial but the movie side was seeing a greater return on the partnership (especially for its producers, directors, writers, and cast members). 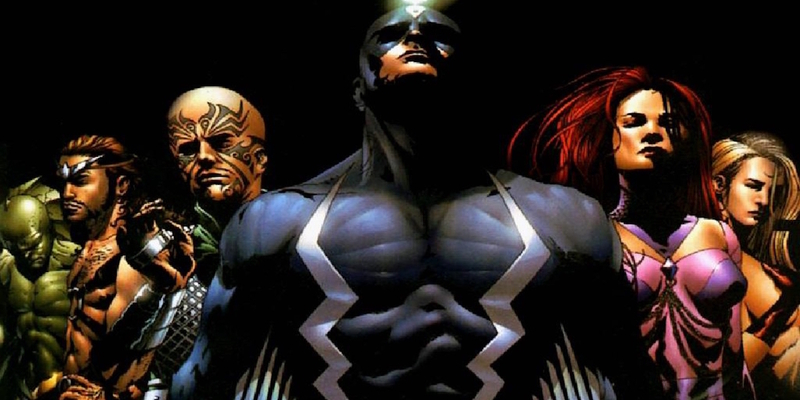 However, the recent addition of Inhumans to Agents of SHIELD was expected to be a turning point for the series – allowing Loeb’s team to lay substantial groundwork for an upcoming feature film project (with possible starring appearances from their key TV actors). 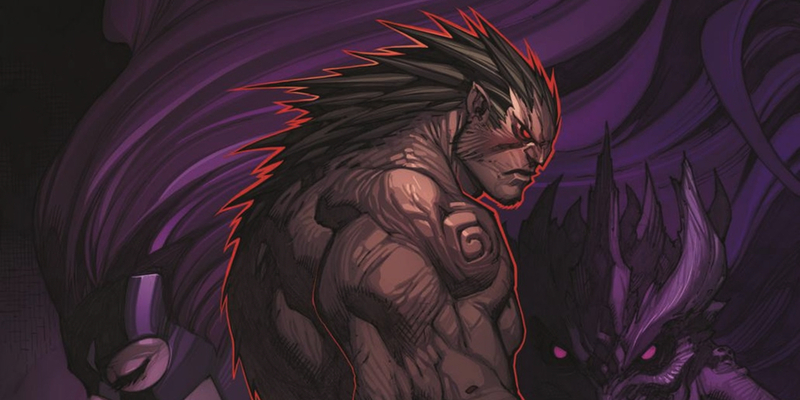 At the same time, Inhumans is an important property for the Marvel comics division – since the characters allow for a never-ending font of super-powered people and stories. The rise of the Inhumans at Marvel coincides with the publisher’s choice to gradually phase-out properties (X-Men and Fantastic Four especially) whose film rights are held by non-Marvel studios. Understandably, with their feet firmly planted in Inhumans storytelling, Marvel TV and Marvel comics were banking heavily on development of an Inhumans movie. Unfortunately, Feige doesn’t directly share in either motivation – meaning that, if other movies are a better fit for Phase 3 or 4, there’d be no incentive for the producer to spend millions developing, producing, and distributing an Inhumans film. That might sound harsh, and without question Feige wants to see other Marvel divisions succeed, but it’s his job to look out for his own house first and foremost – and, currently, his team is responsible for Marvel’s resurgence in popularity. Marvel comics and TV have a strong following but they’re not printing money (and selling merchandise) like Feige’s film division. That’s all to say: it’s very possible that Marvel Studios is planning to remove Inhumans – especially now that three untitled Marvel movies are scheduled for the following year (May 1, July 10 and November 6, 2020). There’s still a possibility that these NYCC rumors are just hearsay or a momentary snapshot of tense (but ongoing) discussions at Marvel HQ; though, there are also enough pieces falling into place to suggest that Inhumans fans may not see the characters arrive in theaters on schedule – if at all. We’ll keep you updated as future rumors or official comments from Marvel are released.